According to a new report, Disney has been talking with Lin-Manuel Miranda about just such a project. Miranda co-wrote the soundtrack to 2016's Moana and he recently starred in their hit sequel Mary Poppins Returns. His father, Luis Miranda, recently spoke in an interview and claimed that his son has been speaking with the studio about a sequel. Here's what he had to say about it. "He is talking to Disney about a sequel to Moana, but the movie would be about a Latina princess." Since Luis Miranda is not directly involved, it's tough to say if this would resemble Moana 2, or if it would just be a new movie entirely that Lin-Manuel Miranda would help create in a more significant manner, that Disney could then bill as "from the creators of Moana," or something along those lines. Also, without the younger Miranda weighing in on this himself, and without Disney confirming the news, this is more of a rumor for the time being. Assuming for just a moment that this does have some truth to it, this would be very significant. Not to mention a pretty safe and assuredly popular bet for the studio. That is, assuming this is actually true and the project ends up coming to fruition. 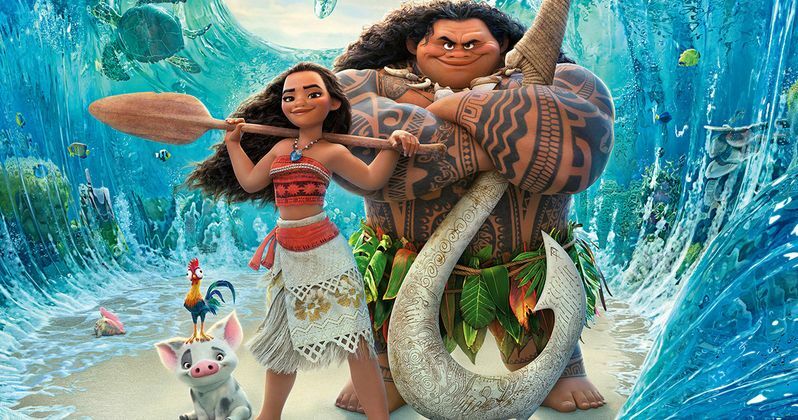 Moana was a runaway hit, grossing $643 million worldwide and was met with near-universal acclaim. The movie was nominated for Best Animated Feature at the Oscars, with the song How Far I'll Go also scoring a nod in the Best Original Song category. So the idea of doing some sort of follow-up, be it an actual sequel or a movie that just keeps together the same creative team, seems like the kind of thing Disney would absolutely want to do. As we've learned in recent years, audiences are craving diversity and they will turn out in droves to see quality movies that provide representation. Case in point, Black Panther grossed $1.3 billion worldwide and just scored seven Oscar nominations, including one for Best Picture. So, on that front, this would also seem like a no-brainer. Disney has broken the Disney Princess mold in the past, with Tiana from 2009's The Princess and the Frog becoming the studio's first black Disney Princess. Will Lin-Manuel Miranda be the man to deliver the next mold-breaking Disney Princess? It's still far from confirmed, but it's starting to look that way. This news was first reported by Page Six.